profit charitable foundation working to improve our community. Orders are now being accepted for this beautiful commemorative wall. 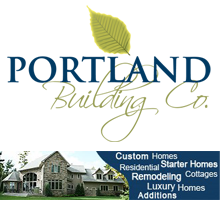 Installation of tiles is determined by amount of orders placed. Tiles are available for $100 each and are fully tax deductible. 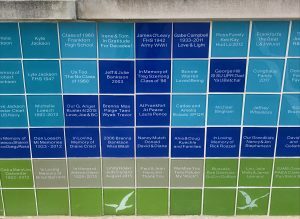 Proceeds from the tile wall will be used for Foundation projects that help enhance the community. Completed projects include the extension of the beach-to-beach trail from Tenth Street to the Frankfort beach. To order your glass tile, please complete our Tile Order Form. $100 is tax deductible. More than that may not be. Please see your tax advisor. All tiles become property of the Frankfort-Elberta Area Chamber of Commerce. Purchasers will not have the opportunity to choose the color or location of their tiles. Thank you for considering being a part of this project. For more information contact the chamber.